The Atacama Desert is the driest in the world and leaves little room for vegetation. Every 5 to 7 years, heavy rainfall due to the passage of El Niño, brings arid lands back to life. As soon as a little rain has fallen, millions of flowers start to bloom and invade the arid plateaus. This phenomenon seems to be accelerating, occurring in 2015 and then again in 2017. 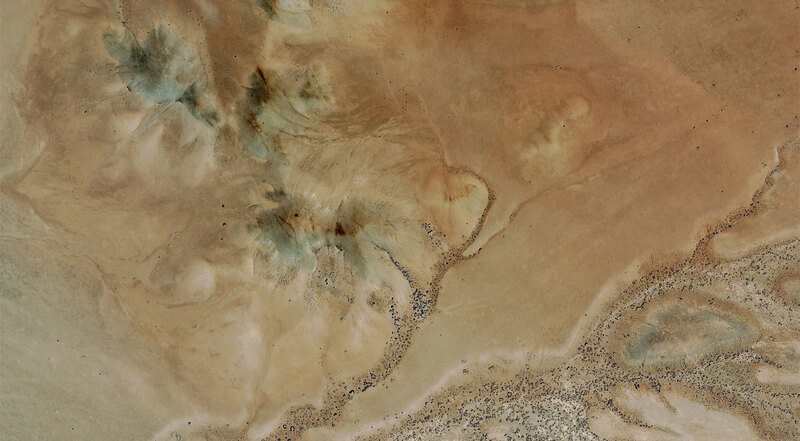 On the first Pléiades image, captured in December 2012, the sands and rocks testify to the aridity of the region. 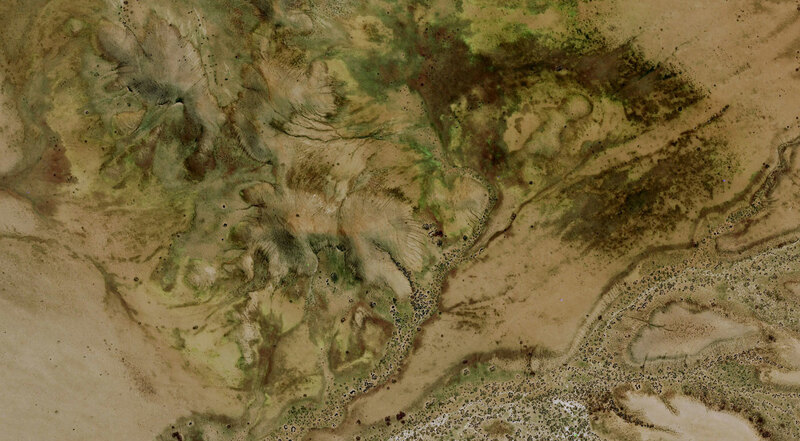 in the additional Pléaides image acquired in September 2017, you can see flowers have invaded the dry landcape, creating a blanket of mauve, yellow and multiple shades of green.